Scott Norquist is a Tax Manager at Hanson&Co CPAs. He has been with the local Glendale CPA firm for 10 years and holds a CPA license to practice in the State of Colorado. He specializes in real estate taxation and has experience in oil and gas taxation, high net worth individuals, and partnership/corporate taxation. 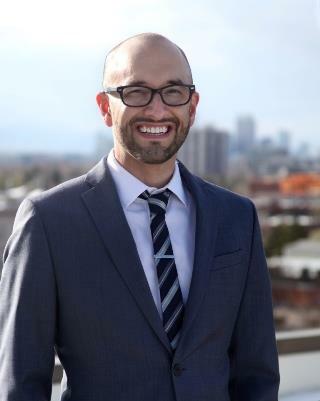 Prior to his career at Hanson, Scott attended the University of Denver, obtaining a Masters Degree in Taxation. Scott grew up in Fresno, California and received a Bachelors of Science in Accounting from California Polytechnic State University, San Luis Obispo. From a young age, he has been involved in his local community. His mother, Miriam, instilled in him that giving back to your community and being involved can bring great joy to your life and the lives you touch. Scott helped start the local chapter of Interact and Rotaract, the high school and college versions of the Rotary Club, as a young man. He currently sits on the board of advisors to the Glendale YMCA and is the Treasurer of the board of Davis Contemporary Dance Company. He has served as a Planning Commissioner for the City of Glendale and is currently an ex officio member of that commission as a Glendale City Council Member. When he is not involved in Glendale events, he enjoys skiing, hiking and biking with his partner, Jason. They travel to new cities, states and countries, exploring new cultures and making friends.